This report examines the green growth potential and identifies best practices for policy and governance as well as ways to strengthen current practices. As the third largest city in Vietnam, Hai Phong’s economy is growing remarkably at an average rate of 8.7% (2015) in tandem with the growth of the Hai Phong Port. Economic growth and urbanisation, however, have posed serious environmental challenges, including: increased greenhouse gas emissions from industry and transport; rapid depletion of underground water sources; pollution of water sources from untreated commercial, medical, domestic and agricultural waste water; and inefficient waste management, where less than 10% of domestic waste is composted and recyclable materials are mixed with other waste and landfilled. Furthermore, Hai Phong ranks among the 20 cities most vulnerable to costal flooding due to climate change. 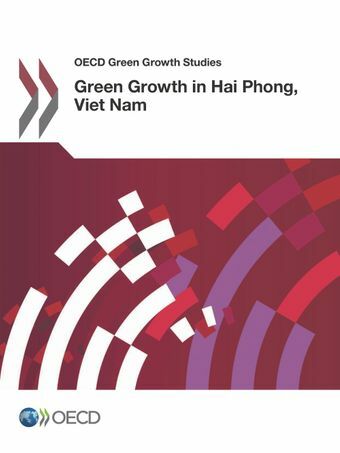 Nevertheless, there is much untapped potential for green growth in Viet Nam and Hai Phong city. The ultimate goal is to build a stronger, more resilient and greener city.